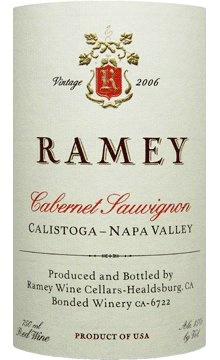 2006 was an interesting vintage year that seemed to favor old-world style Napa producers. IMO, it was difficult to find valley floor producers with exceptional wines. Whereas, many of the mountain fruit producers (Spring, Howell, etc.) with a more subdued style (Ladera, Cain, etc.) released amazingly soft, nuanced cabernet sauvignon. This Ramey followed the line… After 30 min. decant, complex nose of blackberry, plum, cigar box and mint. This wine is black fruit forward with a mid-palate of vanilla and a medium short finish of bitter dark chocolate. The texture is a bit watery and the alcohol is not integrated well. Medium-high acidity with medium tannins. Rather disjointed and unbalanced. This is difficult to enjoy, without food. Try accompanying beef, or pasta with a rich tomato-based sauce. I don’t think this will improve with more time in the bottle. Drink now. Can You Justify Spending on Premium Wines? Okay, I know there aren’t many wine drinkers out there that maintain a diverse cellar of bottle-aged wines, but for those of you who do, and invest in the spendy, premium wines… how do YOU justify it? Which Wines Are in Your Cellar? 1. Wines that have structure, balance, texture, be complex, BUT ALSO be accessible in no more than 5 years, and be able to age (AND improve) for 10 years or more from the vintage date (yes, even Barolo). 2. Wines that my family and friends enjoy. An example in this category for me is expensive champagne. Not what I personally would spend big dollars on, but I really enjoy sharing good bubbly with friends who appreciate it! IMHO, the holy grail of wine is the 1st category. Examples for me would be vintages of Barolo, Southern & Northern Rhone (also CA “Rhone Style”) and mountain fruit Napa Cabernet Sauvignon (Veeder, Spring, Diamond & Howell). Yeah, I know… no classified growth Bordeaux & cru Burgundy included. I have not tasted Bordeaux meeting that criteria under $75/btl. AND other regions bring the same level of enjoyment for $50. ENTRY LEVEL Burgundy STARTS at $50/btl and I just don’t enjoy pinot noir enough to explore that varietal for that kind of money. My Oregon Pinot is just fine thank you. I have Bordeaux and Burgundy in my cellar, but just to provide a representative collection, and it skews my average bottle price more than I would like. I know many of you DO spend that $150+/btl for Bordeaux and Burgundy. I wonder, how do you justify devoting the disproportionate percentage of your wine budget? Right out of the bottle, this wine was horribly disjointed. After a couple of hours, it started to come together. Maybe just a dead phase for the wine?. The nose is full of alcohol, vanilla and red plum. The texture is a bit thin. High acidity and medium high tannins. The palate is strange for a Napa cabernet. My first impression is of strawberry jam, but then in the mid-palate the traditional flavors show up of blackberry and plum and then leaves you with a medium length finish of lingering fruit and sweet vanilla. No minerality, or earthiness whatsoever. There has to be merlot mixed in this. The alcohol is less integrated than I would prefer. This wine had too much fruit and not enough complexity.